There are many different ways in which a person can express themselves. Mainly, people express themselves through their hobbies, whether it be playing sports or playing an instrument. Practicing our hobbies are a great way to relieve stress and become skilled in something interesting. One cool hobby to pick up, if you aren’t practicing it already, is the art of calligraphy. In case you don’t already know what calligraphy is, it is basically word art. Have you ever seen the fancy handwriting on old documents, or even on modern-day wedding invitations? This fancy and skilled style of writing are called calligraphy. 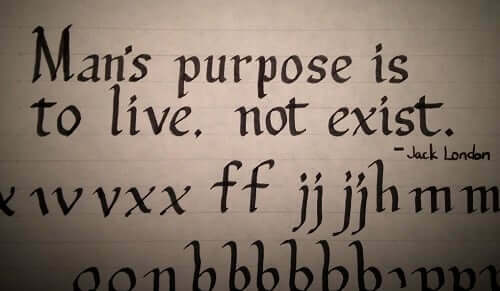 Calligraphy is a more artistic approach to handwriting. You can print calligraphy or write it in cursive. Even if your handwriting isn’t the prettiest thing in the world, you can still learn how to make beautiful calligraphy art. Of course, like any other hobby or skill, it takes a lot of practice to learn how to do it well. The old styles of pens and quills made calligraphy more common back in the day. But now with ballpoint pens, pencils, and all of this typing on the computer and other electronic devices, calligraphy seems to be dying out. It’s a shame that not many people know how to make calligraphy art. But it also means that other people are willing to pay people who do know how to make calligraphy art more than they would if everyone could do it. This is a skill that can pay off if you learn how to do it correctly. So, let’s talk about how to begin learning how to make calligraphy art. There are many ways to make calligraphy art. If you are just starting out, then trying faux calligraphy is a great way to learn. The first step in this kind of calligraphy, and in any kind of calligraphy, is to better your handwriting if it is not already nice. Not many people already have perfect handwriting, and less and fewer people are learning it now that most writing is done on the computer. Most people stop using cursive once they learn how to sign their names. Re-learn cursive if you have to and then work on making it pretty. Once you have perfected your handwriting you can begin practicing faux calligraphy. Here are the steps to trying faux calligraphy. 1. Write out whatever you want in cursive or otherwise connected letters. Do this as neatly as possible if it is your first try. You can use regular ballpoint pens for this, but the smoother the pen, the better. 2. Add to your first cursive by putting in lines. One easy way to do this is to write the same thing in cursive slightly above or below the first cursive words. Then, use small lines to connect the words so it looks like the outlines of letters instead of fully made letters. 3. Lastly, color in the gaps that the outlines of the words have given you. When you are done it should look enough like real calligraphy to fool anyone who is not acquainted with professional calligraphy already. Learning real calligraphy is a lot harder than faux calligraphy. You can take lessons in it if you like. For real calligraphy, you will need to buy special pens and other tools. It takes a lot of hard work, and it is not easily describable. It would be like telling someone how to paint a picture or write a song. No matter what kind of calligraphy you try, it will take a lot of hard work to master. Remember, practice makes perfect.